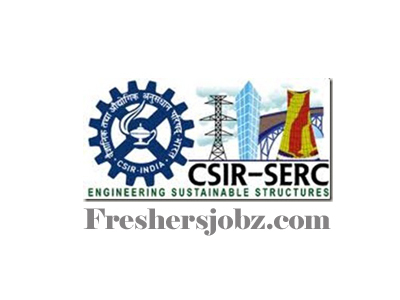 CSIR-SERC Notification 2018.CSIR – Structural Engineering Research Centre has released a notification for the recruitment of Project Assistant Level I & III jobs on temporary basis.Check the eligiblity and notification prior to apply for the positions. ME/M.tech holders can apply for Project assistant III post and 3 years diploma holders can apply for Project assistant I posts. Upper age limit for Project assistant -I is 28 years, Project assistant-III is 35 years. Candidates along with all essential documents may appear for SERC recruitment on 04th October 2018. Structural Engineering Research Centre (CSIR-SERC), Chennai.